This app allows you to colour different templates, and augment your own designs. A great app for all different ages and can be used in a variety of ways. Doing a unit on mythical creatures? Bring a dragon to life. Planning a unit on wildlife? Bring some of the creatures to life as a stimulus for writing. 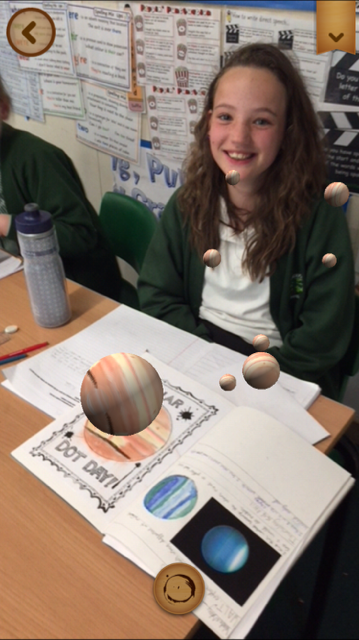 Okay, boring at first, but re-brand it with creating a 3D version of one of the planets, and it tied in with our curriculum nicely. 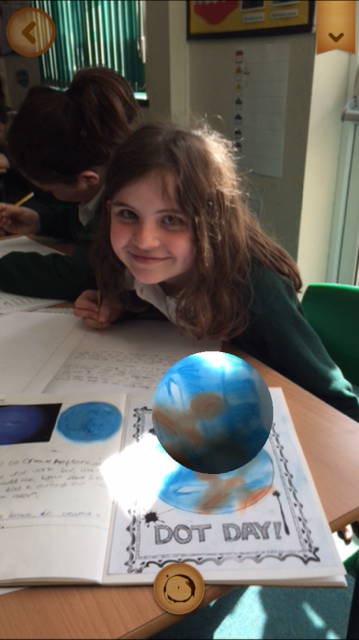 In art, we had been looking at using different mediums to design the different planets. 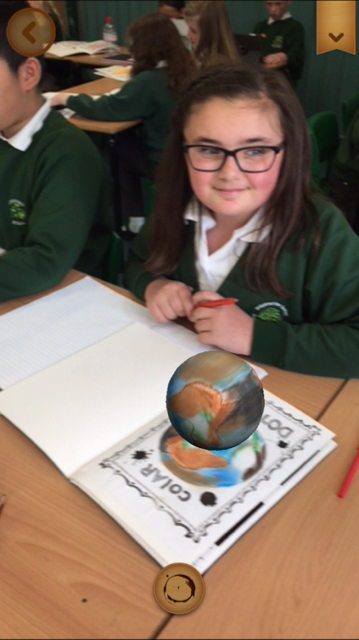 The pupils took their most successful medium and sketched their planet on a larger scale. Unknown of the app at the time, once completed, we brought them to life. The expressions of even the supposedly ‘older’ children were great to see. It certainly hooked them and led onto some great discussions, which fed into their creative writing. This is the app used on a basic level, but the possibilities are endless. 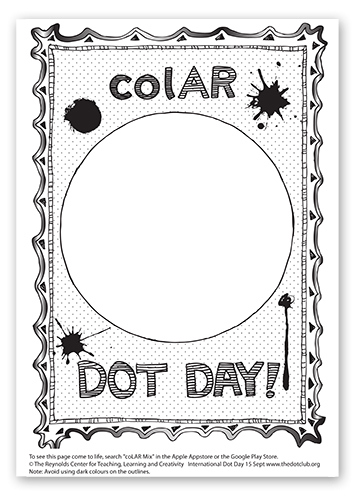 Check out the website for a bank of free templates to use. Also, have a look at how Mr P has investigated if it has an impact upon writing.